In Small Things Remembered » Afghans enjoy an American movie outdoors. Afghans enjoy an American movie outdoors. The 1950s were the heyday of “drive-ins” in the United States, and Americans in Kabul found ways to project images onto outdoor screens for local audiences. 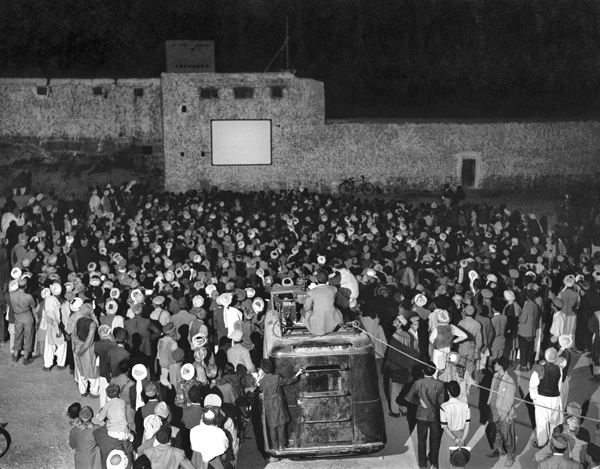 Movies were also shown indoors, and in the 1970s a successful John Wayne film festival sponsored by the U.S. Embassy was a reminder that people from both nations greatly appreciated “Western” films.